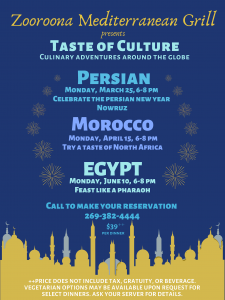 Zooroona in Arabic means “come visit us.” We invite you to stop by and enjoy our authentic Middle Eastern cuisine. 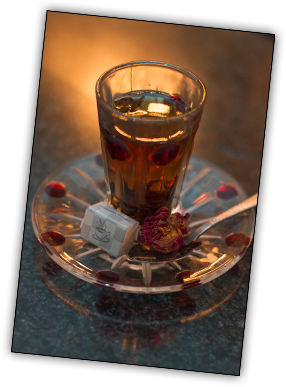 We want you to feel welcome at Zooroona – sipping a Cardamom Tea, enjoying a fresh Al-Dar Salad, or tasting some of the most vibrant dishes the Middle East has to offer. 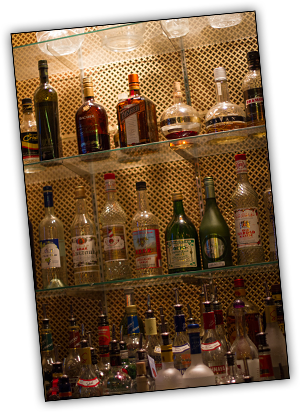 Featuring a full bar with beer, wine, and spirits from around the word and the Middle East. Join us for our theme dinners this spring!